The arrival of a new baby in the world is a joyous occasion for all those involved and must be celebrated to the fullest extent which is where Aberdeen Flowers step in. With over forty years of experience in the floristry industry, the Aberdeen Florists have catered for many new baby occasions so no matter what it is you’re after, we have just what you need. 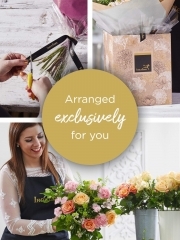 As we aim to provide a service that is above and beyond the typical flower shop, in addition to bouquets and floral arrangements, we have a selection of gifts on offer. We have several teddy bears available in different colours including white, sandy brown and dark brown. These are ideal and thoughtful presents for a new born baby. In addition to teddy bears, we have helium balloons on offer. The talented Aberdeen Florists not only arrange gorgeous bouquets, but can also arrange balloon bouquets. Our balloon bouquets consist of three blank balloons and three with a message fitting for your special occasion, which in this case, would be ‘new baby girl’. For more adult-orientated gifts, we have wines and champagnes. Our wine selection includes white, red and rose as well as Prosecco. We have two champagnes on offer which are the Louis Rozier and Laurent-Perrier. As both wine and champagne are celebratory drinks, these are incredibly fitting for such an occasion. In addition to these celebratory beverages, we also have chocolates available. 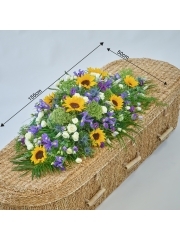 Our number one main aim here at Aberdeen Flowers is total customer satisfaction which is why we always do our absolute best to fulfil all the floral requests of our customers. Aberdeen Flowers receive several flower deliveries a week from our suppliers in Holland. As we receive so many deliveries per week, our flowers are always fresh and are of the best quality as Dutch flowers are renowned worldwide for their quality. Not only do our Dutch suppliers provide us with good quality, fresh flowers but they also provide us with an abundant selection of flowers. Since the shop is stocked with so many flowers, the Aberdeen Florists are able to create numerous floral designs, fitting for all occasions. When it comes to the event of a new born baby, we have a beautiful collection of new born baby girl flowers. This collection includes beautiful bouquets and arrangements in more traditional colours like pinks and creams as well as more neutral colours like yellows. If you don’t seen anything on our website which is fully to your liking, don’t worry as we have the bespoke service on offer. The bespoke service allows you to do several things. For example, if there’s something online that you do like the look of but would like to change something such as swapping a flower or colour, then we are able to do that for you no problem. 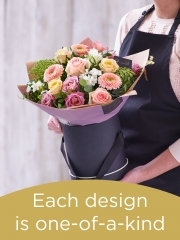 You can also create a completely unique arrangement by specifying what colours, flowers and arrangement type you would like and one of the talented Aberdeen Florists will be able to advise what is doable. 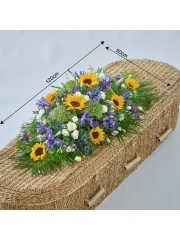 Alternatively, you can leave your arrangement to the florist’s choice and they will arrange something beautiful for you. No matter what it is you’re after, the team here will always endeavour to fulfil all of your requests. For further queries, please do not hesitate to get in touch. You are able to contact us either by phone, email or you can even pop by the shop as we are always here to help. Peterhead flowers has a wide selection of gorgeous flowers which are perfect to celebrate the arrival of a new baby. We have a stunning range of pink, purple and yellow flowers for a baby girl and beautiful blues for baby boys. Florists Peterhead can also provide an array of gifts suitable for the birth of a new baby, whether you would like balloons, teddies or a gift set. Our Peterhead Florists can deliver your flowers on the same day to ensure that your gift can be fully appreciated on the moment of arrival. You don't have to choose specifically from our New Baby catalogue, if you feel that other flowers would be more appreciated then please feel free to order from our website. If you cannot find what you would like on our website, or wish to create something more personal or unique then you can take advantage of our bespoke service where you can specify the size, colour and variety of flowers in your arrangement. 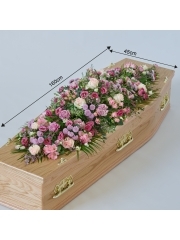 Our florists will be delighted to make up a beautiful floral arrangement to your specifications on this joyful occasion. 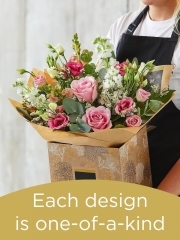 Peterhead Flowers make every bouquet and arrangement to order so that it is fresh, vibrant and will last for as long as possible, so you can rely on Peterhead Florists to provide the highest quality of flowers. We import all of our flowers straight from their site of cultivation in Holland so that we can guarantee the best quality and freshness of blooms. 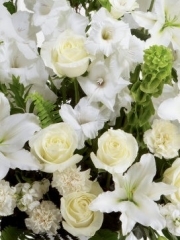 At Flowers Peterhead we only use the very best flowers, so you know that every flower that goes into our arrangements will be in great condition and will be absolutely gorgeous. Peterhead Flowers also provide a selection of Champagnes and Wines which will be perfect to celebrate the arrival of a new baby. You can send the Champagne and Wine with your flowers or by themselves. Florists Peterhead also offer other gift items including balloon bouquets and chocolates which are a great way to make your gift extra special and really make those new parents feel loved. We offer delivery 6 days a week to anywhere in the UK, and even to 140 countries abroad thanks to our trusted network of florists, so that you can bring a smile to your loved ones faces no matter where they are. 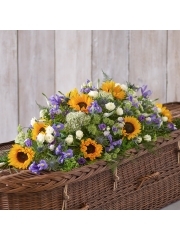 We are also delighted to offer same day delivery so that you can order your flowers as soon as you know that the baby has been born and your flowers will arrive at the hospital or home address of your recipient on the very same day. For this service we only require that you place your order before 3pm so that our expert Florists in Peterhead have enough time to prepare your flowers and ensure that every detail is perfect, and also to allow our drivers plenty of time to deliver your flowers in a safe and careful manner so that your flowers are in top condition when they are received. Our drivers will have your flowers and gifts delivered carefully to your chosen location so that you don't need to worry about anything. Our dedicated florists will make your arrangements to order to ensure great quality and freshness which is bound to bring a smile to the new parents' faces. If you have any questions or queries or would like to place an order then please do not hesitate to contact our Peterhead Florists over the phone or online and we will be happy to help in any way that we can.